After careful planning & construction, Brockenzo Neapolitan Pizza had Long Island’s first mobile wood-burning pizza truck. It’s owner, Chris, now needed a website to help advertise and show off the unique menu and stylish truck. The careful planning and design work with the Health Department and the construction team gave Chris the forethought to know exactly what he wanted with regards to his website. After relaying his menu and some great photos, I integrated them into a simple three-page website that highlights the truck’s capabilities. It allows for visitors to see exactly where Brockenzo Neapolitan Pizza is located, and enables inquiring minds to ask about privately catered parties and availability for other events. After a few ad campaigns and the gathering of a solid web traffic data set, it’s time to analyze response rates. 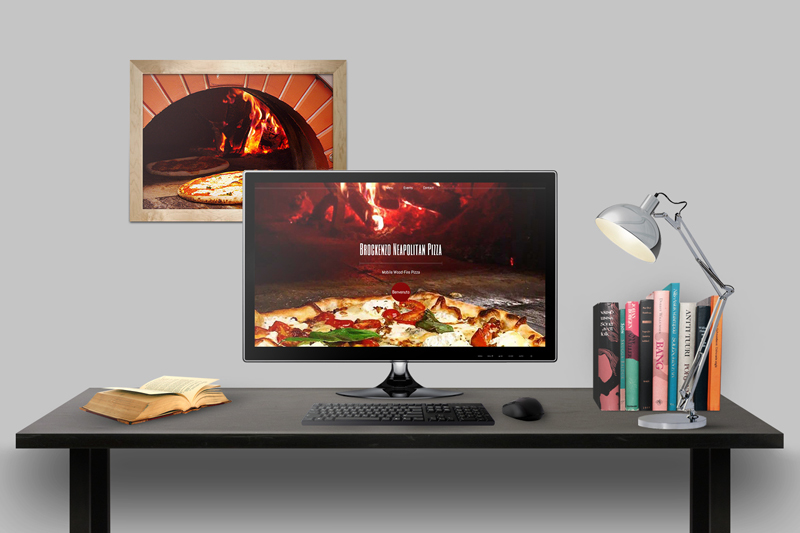 This will improve the site’s call-to-action options and revise the next campaign just in time for Brockenzo Neapolitan Pizza’s next peak season.